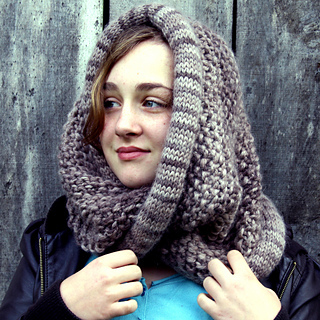 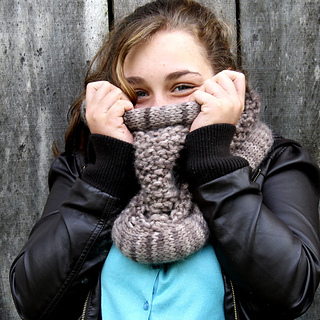 A large snuggly cowl that can be knit in one or two evenings and is as cuddly and soft as a newborn puppy. 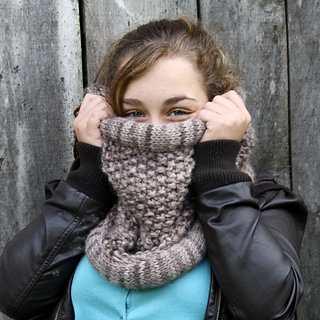 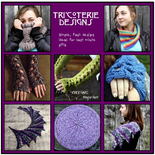 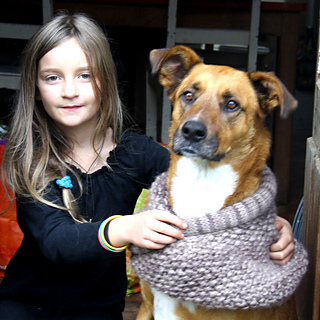 Start by knitting a moebius in chunky seed stitch (yarn held double) and knit a padded tube to give a collar effect you can sink into. 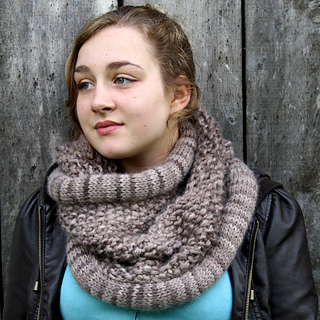 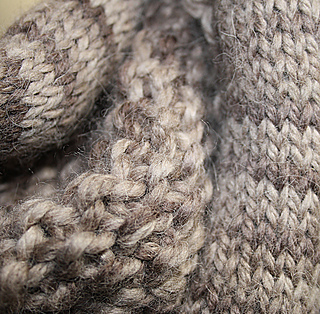 This can be made in any chunky yarn (roughly 100m to 100g) but is particularly nice in soft smooth yarns.